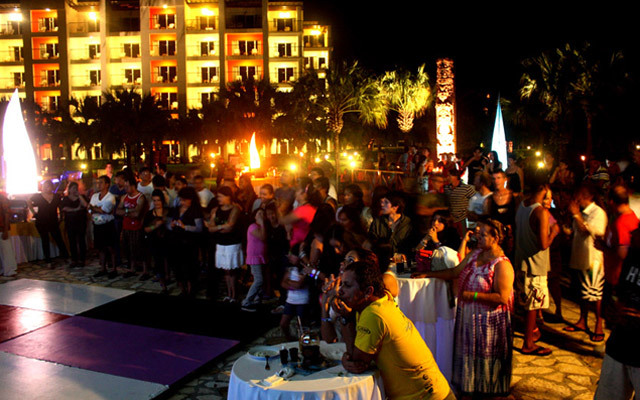 Last night, the Decameron Salinitas Hotel became the place to be for the competitors of the El Salvador ISA World Masters Surfing Championship. The ISA Aloha Beach Party provided a great opportunity for competitors to relax and share the characteristic camaraderie and friendship typical in this event. The inaugural Aloha Beach Party was conceived by ISA President Fernando Aguerre and Florencia Gomez Gerbi during the 2011 ISA Junior World Championship, with the purpose to bring all participants, in a relaxed social environment around a beach bonfire. A perfect stage was set for the occasion in the beautiful, luxurious hotel. Located on the beach with the Pacific Ocean as the background, competitors, organizers and ISA Officials enjoyed a night full of fun, live music, delicious local food, lots of Salvadorean culture, the trademark Aloha Beach Party bonfire and a stunning fireworks show. 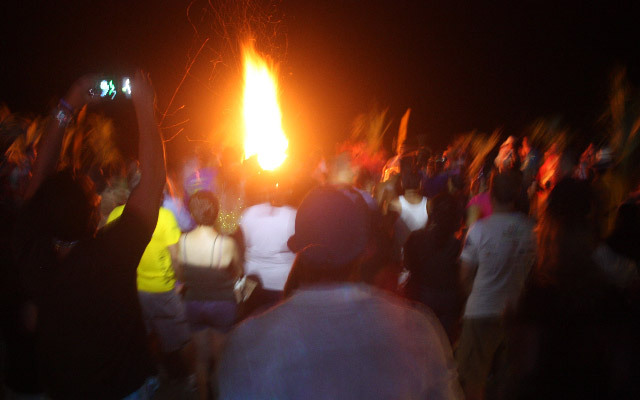 After the fireworks and the traditional dancing ended, the Aloha Beach Party’s signature bonfire was lighted and lasted until late in the night.